Good! Now let’s see you add a couple of these MÖTALÍF koozies to your cart. Koozie don’t discriminate. 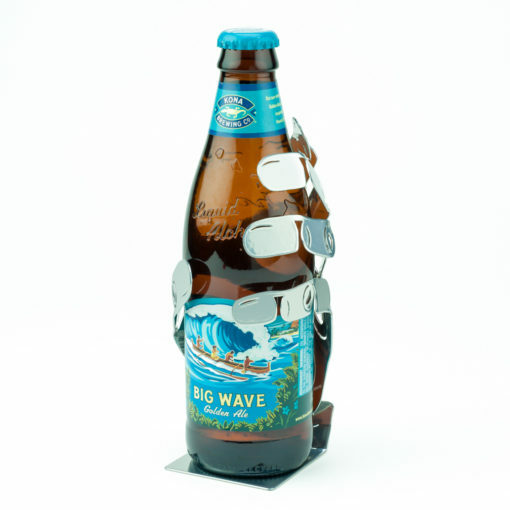 Koozie holds water bottles, soda bottles, it’ll even hold your hand. Koozie is not a thermos nor does it provide insulating properties, but it’s guaranteed to warm the hearts of everyone in the room and it’ll help ya chill after ‘one of those days’. 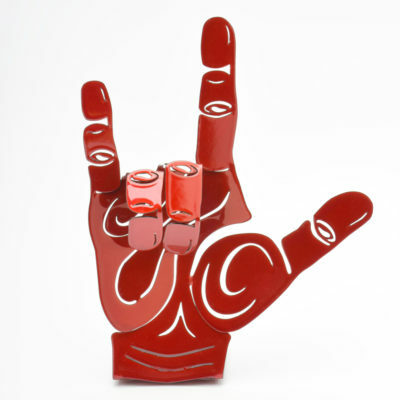 *IMPORTANT* This MÖTALÍF ‘hand stand’ is designed to function as ‘art’ – to adorn, garnish, accentuate and harmonize with paired objects. It is NOT a vise or clamping mechanism. YES! 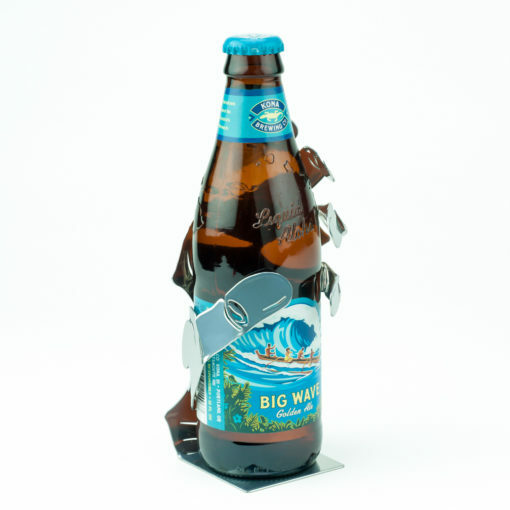 Of course MÖTALÍF offers a commercial ‘koozie’ version (not pictured) designed for retail product placement and industrial display applications on any surface. Please contact us for availability and pricing. 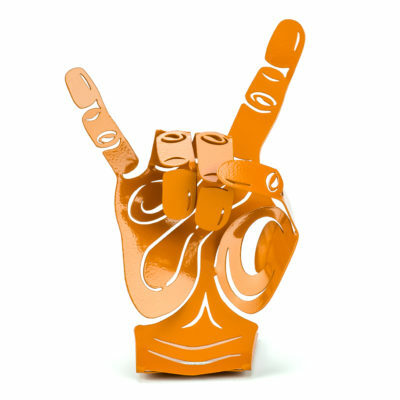 MÖTALÍF life-size metal art hand sculptures ‘speak’ for themselves and proudly stand 8″ tall – fully extended. Every MÖTALÍF sculpture is designed and forged by hand, then shipped pre-formed as ordered. Our proprietary durable finish and matchless quality guarantee that your original MÖTALÍF sculpture will last many lifetimes – a true gift of ‘life’ for all generations. All MÖTALÍF metal art is shipped in designated and pre-determined positions. An infrequent ever-so-slight ‘tweak’ is fine. But like most art, our masterpieces are designed specifically for VISUAL enjoyment. 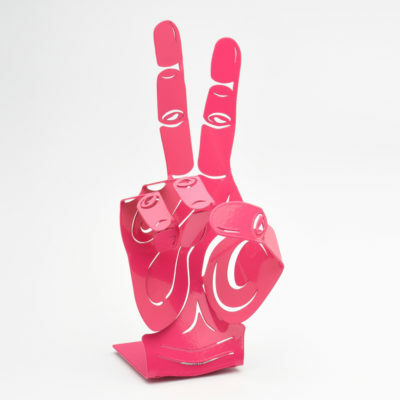 Please do NOT attempt to re-shape anyone’s art piece or metal art work – ever. Modifying someone’s artwork alters the integrity of any piece, therefore damage may occur. All MÖTALÍF metalwork and metal hand art is ‘art’. Unless advertised as ‘kinetic’ art, MÖTALÍF metal art has no working parts, so our pieces will never break or wear-out when treated as ‘art’. In short, MÖTALÍF metal art is designed to last a lifetime. 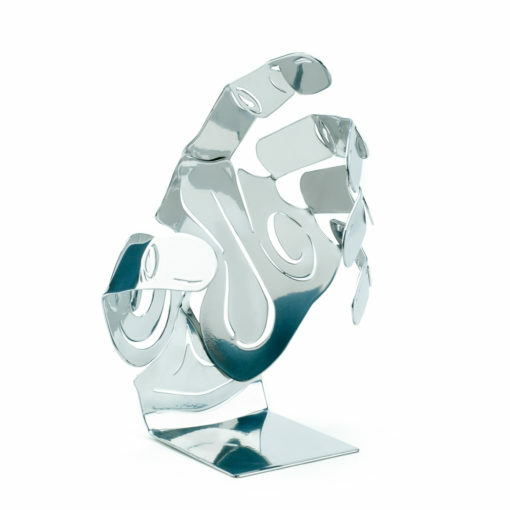 Due to MÖTALÍF’s ‘100% hand-forged in the USA‘ policy, artistic impression, extraordinary design and attention to detail, we guarantee that your ‘forged for life’ sculpture from our metal hands collection will be like no other – an original. Unique from any other we’ve produced. Always. Not all of our products are listed at this time. If you’d like to learn more about other MÖTALÍF metal art sculptures, commercial products, specifications on metals, colors, protective coatings and accessory options, please contact us. All images, ideas, concepts, design, layouts, artwork, sculpture, metalwork, rock work, and content on this site are copyright protected under Federal Copyright Laws and are the exclusive property (intellectual and real) of MÖTALÍF. Unauthorized use of this copyrighted material is illegal and an infringement in direct violation of Federal Copyright Laws. Infringements include (but are not limited to) copying, borrowing, producing, reproducing, printing, publishing, scanning, altering, distributing in any form without the expressed written permission of MÖTALÍF. Order Now - Ships in 3-5 Weeks! 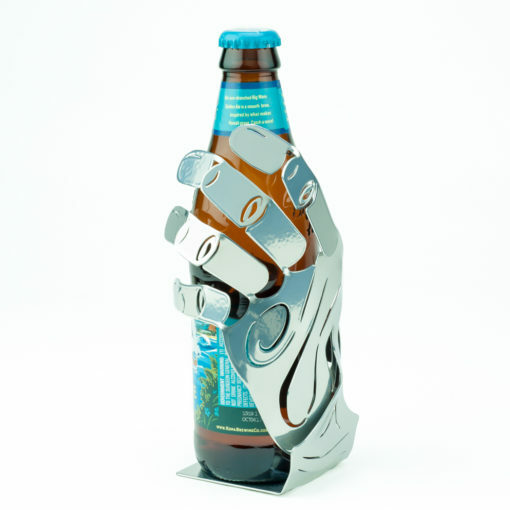 Unlike the mass-produced imported flimsy tin knickknacks found at many home/garden décor centers, MÖTALÍF metal sculptures are created using hefty gauge cold-rolled steel, then hand-forged and completely sealed in our proprietary ‘bullet-proof’ finish – all designed for a LIFEtime of enjoyment. All MÖTALÍF products, tools, materials and components are proudly hand-designed, hand-forged and hand-formed in the USA.